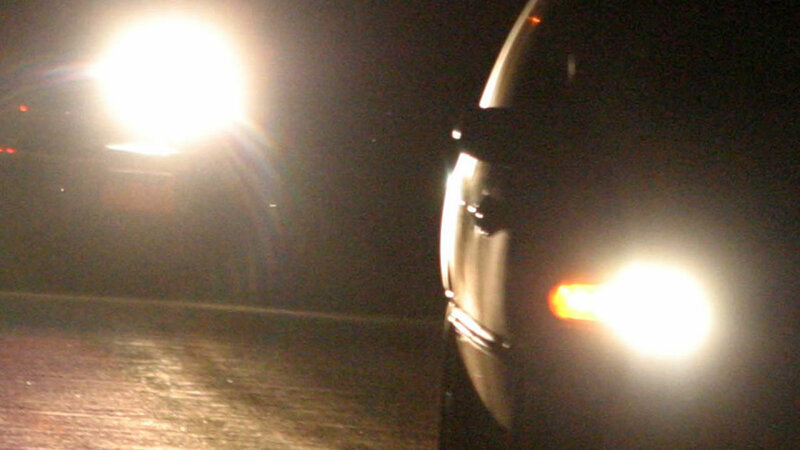 SPRING LAKE, NC -- A North Carolina sheriff's office says a man was shot during an argument over bright car headlights. Investigators said the victim was headed down a North Carolina highway on Saturday evening when he met an oncoming vehicle with its bright lights on. The victim flashed his lights in an attempt to get the oncoming driver to dim the bright lights. The suspect turned around and caught up with the victim at an intersection stop sign. The suspect pulled along the left side of the victim's vehicle, rolled down the window, and a verbal altercation began over the bright lights. The driver in the suspect vehicle pulled out a handgun and fired, from inside the vehicle, 3 to 5 bullets into the victim's vehicle. The victim was struck in the shoulder. A passenger in the victim's vehicle was not hurt. The victim left the scene and called 911. There were three African American men in the suspect car described as a white Dodge Charger with tinted windows, rear spoiler, black aftermarket wheels, and low profile tires. Anyone with any information is asked to call the Harnett County Sheriff's Office (910)893-9111.